In any industry, it is important to select the right type of gloves to serve as protection. Based on the tasks involved with your profession, you’ll want a glove that can hold up against the pollutants, chemicals or other substances you often work with. That’s why there is a variety of disposable gloves made available. 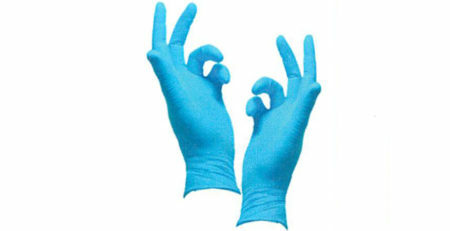 Perhaps two of the most common types of disposable gloves are nitrile industrial grade and nitrile medical grade. 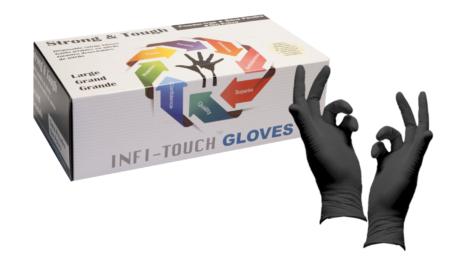 If disposable gloves are widely used in your profession, it’s wise to know which glove type to use, especially when it comes to nitrile industrial grade versus nitrile medical grade gloves. Although both are designed for extra durability and strength, their specs are different, making them better for use in specific tasks. Disposable gloves used during medical examinations in the medical field must have FDA approval. Meeting the safety requirements of the FDA means that the gloves are safe to use in the healthcare field. Their strength can withhold against and protect an individual against blood borne pathogens. Since disposable gloves are used more frequently among healthcare professionals, nitrile materials have surpassed the use of latex. Latex’s harsh proteins are known to cause allergies and skin irritation after prolonged use. The FDA has also forbid the use of powdered gloves in the medical industry due to their higher risk factors during procedures. All disposable gloves must have clear labels on the packaging stating their uses as well as strength or grade. Nitrile medical grade gloves are great for use in healthcare fields of any kind seeing as they protect against bodily fluids, blood borne pathogens and are highly puncture resistant. Nitrile industrial grade gloves are best used for most other tasks including working with chemicals, food or even for use in the home. Aside from choosing between the different grades of disposable gloves, you must also choose between size and color.